When planning our Maui Momcation, spa time was a must. 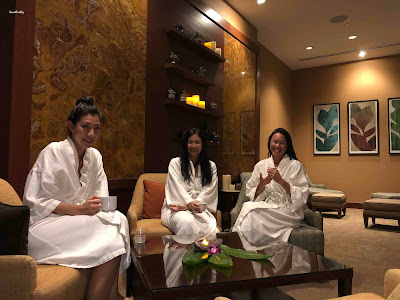 Nat and Nadia both chose massages at the Willow Stream Spa at the Fairmont Kea Lani, while I opted for a facial (as I typically do when I go to spas). There are several facial treatments to choose from, and I chose the 60-minute Skin Renewal Facial. 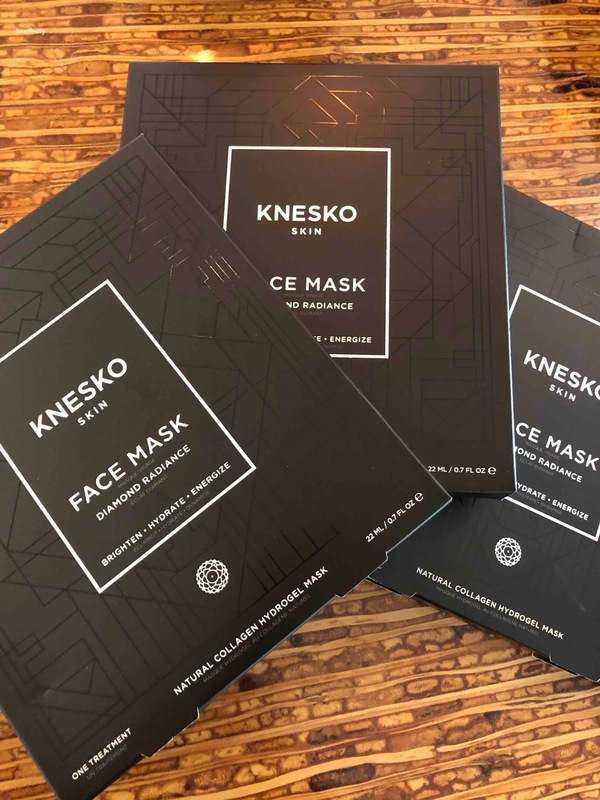 After advising my therapist what my skin concerns were, she tailored the treatment to address my needs. From the warm steam used in the beginning to open up my pores to prep it for an hour-long pampering, through the gentle cleansing, the massaging, and application of skin-renewing products, my skin and body were in bliss. The only regret I had was not adding on Additional Time (you can add on 30 minutes for a Head and Scalp Massage with Intensive Hair Mask, a Head, Neck, and Shoulder Massage, or Foot Massage). If you wish to splurge, book the Inspire Your Energy Wellness Suite, which is the ultimate experience in self-care. 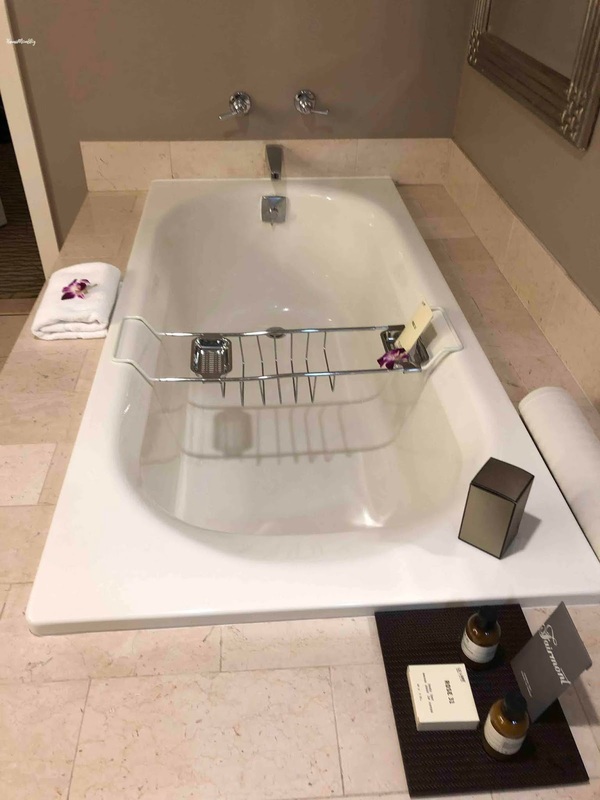 Those who book will have a suite enhanced with amenities and services so it'll feel like you are in your own personal spa. For the more budget-minded, you can relax in the comfort of your own suite. Sprinkle in some Le Labo Rose 31 bath salts (included as an amenity) in the deep soaking tub, put on a luxe face mask, and relax. However you choose to pamper yourself, the Fairmont Kea Lani is the perfect place to do so!